Check out a great story and interview about Alan and the album via Parma. Congrats to Canadian guitarist Alan Rinehart on his new album featuring new music from Michael Karmon and Canadian composers Richard Gibson, John Oliver, William Beauvais, and David Gordon Duke. Great to see the new music and Canadian content flowing. As the promo states, Dreams Laid Down “brings to life the works of several acclaimed composers, evoking a tender, reflective atmosphere. Inspired by sources from the Beatles to the poetry of Rinehart’s wife, the album creates an intimate aural experience that is as personal to the listener as it is to the artist himself.” The Gibson work has some nice gentle, colourful textures of bell-like tones and pretty turning harmonies. The Beauvais is another highlight with contrasts in tone and a gradually evolving development. 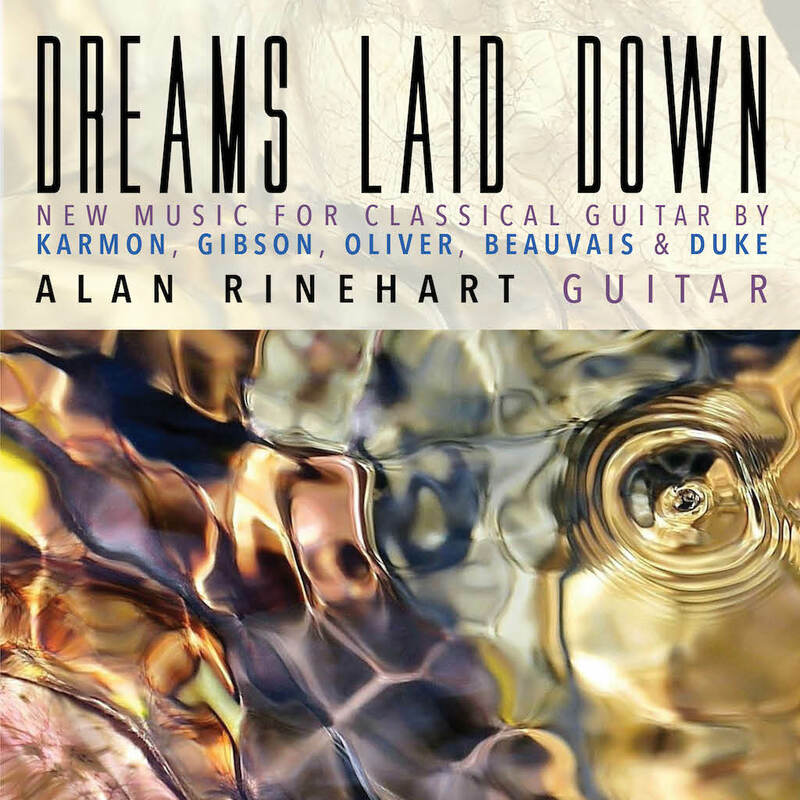 Dreams Laid Down by Alan Rinehart is a colourful and relaxing album filled with some excellent new repertoire from Canadian and American composers. Listen to some samples below or visit iTunes etc. The title track, composed by Michael Karmon, is named after a book of poems by Rinehart’s wife Janice Notland. Karmon animated six of her poems with thoughtful, evocative compositions. Contrast this with composer John Oliver’s Ancient Heroes Suite. Oliver, inspired by ancient music conventions, worked with dance-oriented rhythms in experimental time signatures that recall melodies resonating through ancient halls, while filtering them through a modern context. Variaciones Sobre un Tema de Juan Lennon, written by New Brunswick composer Richard Gibson as a wedding gift for his daughter Julia, reimagines parts of a song originally written by John Lennon. Exploring shifts in key signatures, major and minor modes, and alternate harmonization, Gibson takes the pop song and breathes his unique perspective into it. The album is rounded out with works by two more well-established Canadian composers. 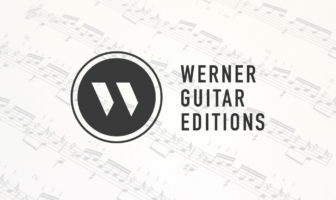 Guitarist-composer William Beauvais contributes his improvisatory and rhythmic Beginning of the Day and Vancouver’s David Gordon Duke explores the full range of guitaristic colors in his Soliloquies and Dreams. DREAMS LAID DOWN tenderly beckons for the listener’s attention with the lilting strains of classical guitar. Showcasing Rinehart’s inspired musical gifts, the gentle performance warmly invites audiences into a serene listening experience. Excellent album! After listening to it here I just had to download it on iTunes. Thanks for letting us know about new works such as this, as well as the Emma Rush album, Canadiana, that I also downloaded.